What stories do we tell through the landscapes we create? What stories do the landscapes tell? 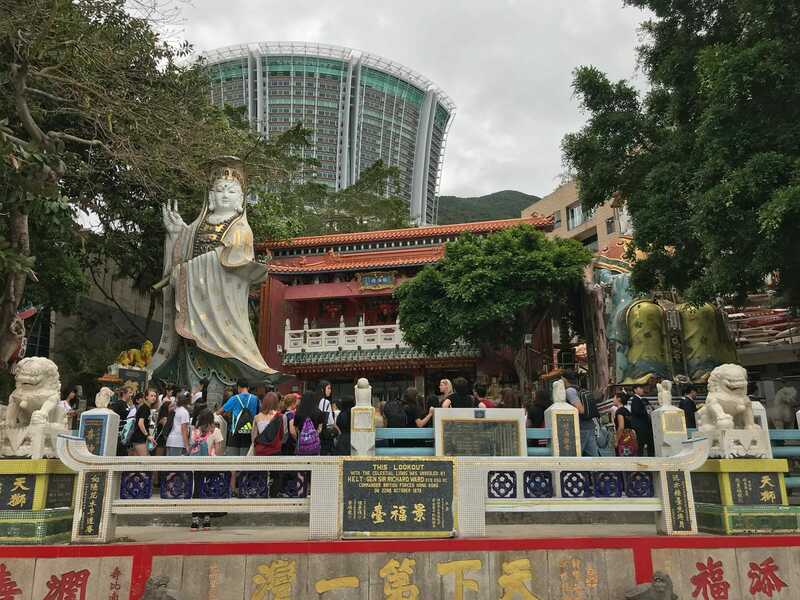 Hong Kong Greeters were asked to help with a visiting school group of students from the International Schools Theatre Association (ISTA) at Repulse Bay, Hong Kong Island. The festival focused on the students’ dramatic responses to different landscapes… and there is nothing more dramatic than the Lifeguard’s Temple at Repulse Bay! We shared stories of pirates, Tin Hau the Goddess of the Sea, Yuet Lau the God of Matchmakers (modern day Tinder), the Longevity Bridge and tried to get coins into the mouth of the lucky Goldfish statue. More of the students stories and responses can be found here on their YouTube channel. Repulse Bay is located on the Southside of Hong Kong Island and is one of the most popular beaches in Hong Kong. The Lifeguards Temple is always worth a visit, but you can also enjoy al fresco ding at The Pulse, swimming in one of the cleanest beaches on the island, or go old-school by visiting The Verandah, part of the former Repulse Bay Hotel and belonging to the Peninsula Hotel. Want to Tour With Us? Peking vs Cantonese roasted duck, what’s the difference? Momster, the registration plate all moms need!